VERSATILE STYLE: A sideboard offers more than a storage place in your dining room. 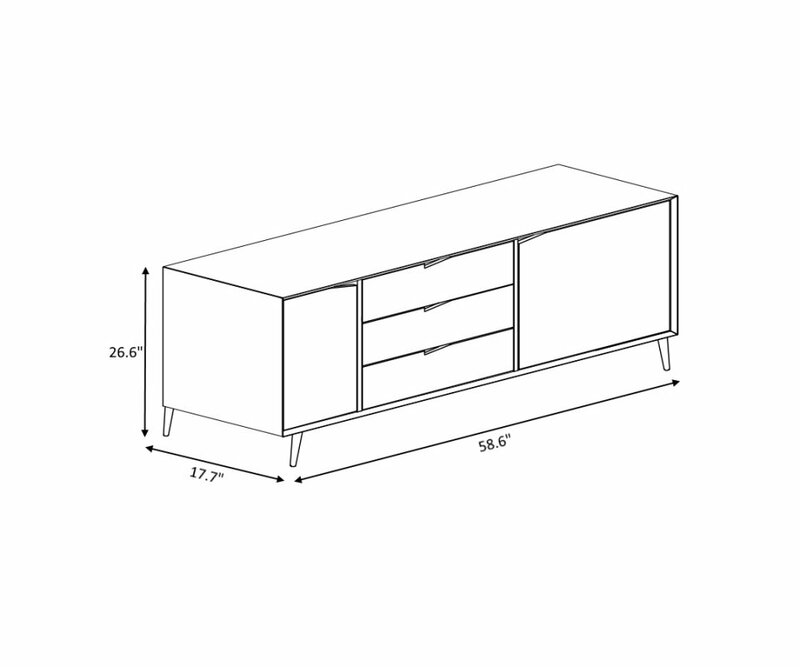 It can be used for a buffet-style meal or cocktail hour, can become a home bar, or used in an office as a credenza! Add a little bit retro, a little bit on-trend fashion to your dining room with the Svenska Sideboard with 2 Doors and 3 Drawers! The flared, tapered legs, and raised rectangular cabinet are true mid-20th century style, with three-tone coloring that brings it right into the 21st century! 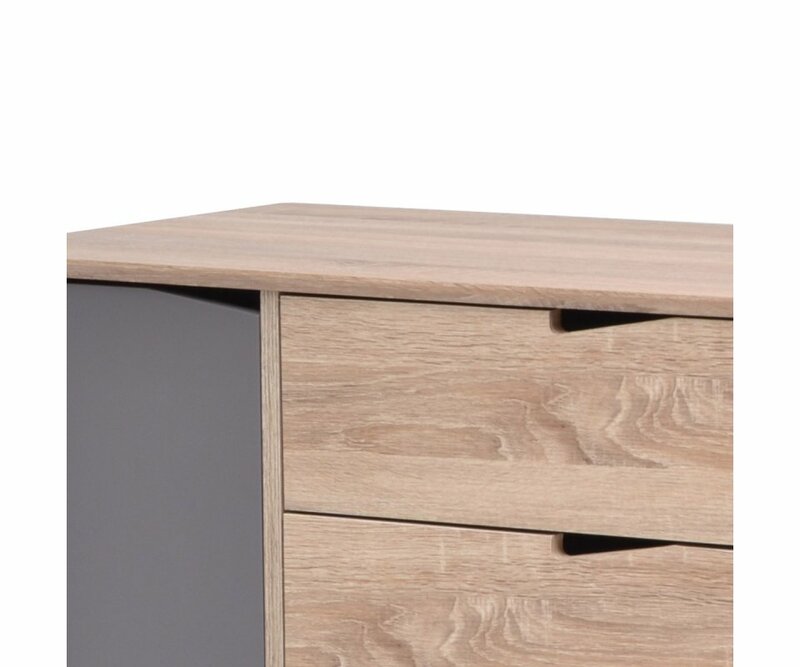 Light Oak woodgrain veneer combines with two shades of Gray matte lacquer to create a wood and stone effect that is the latest in designer looks, yet is neutral in shade to last as a timeless classic. Smart storage features include cabinets with shelves for storing fine china, glassware and serving pieces, with 3 drawers with cutout pulls for flatware, dining table accessories, and table linens. 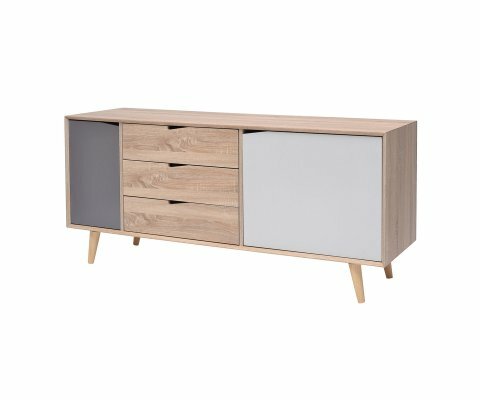 It’s easy to create a buffet service or place to serve cocktails and hors d’oeuvres to guests with a long sideboard style. This piece could also be used as a craft cabinet, living room storage cabinet, or linen cabinet in a large master bathroom. 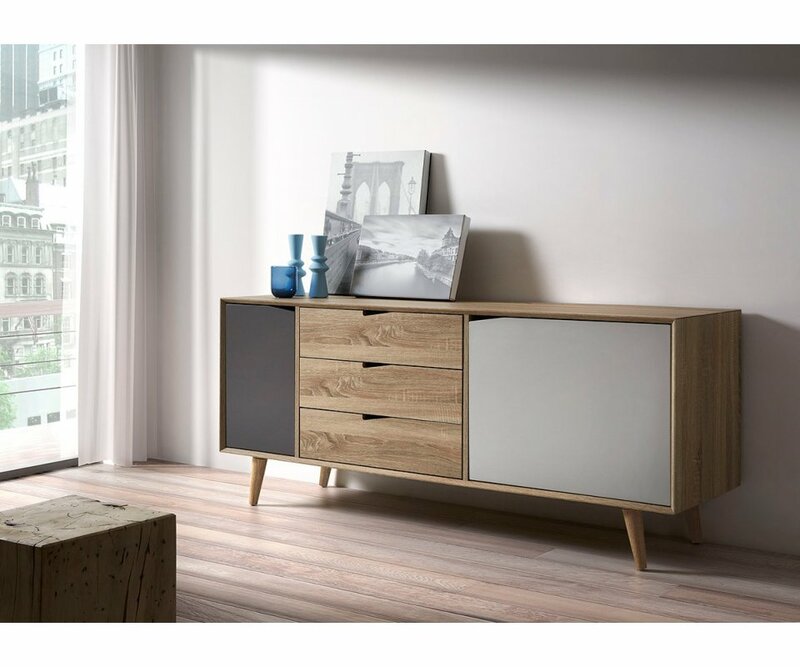 The possibilities are limitless with the Svenska Sideboard!